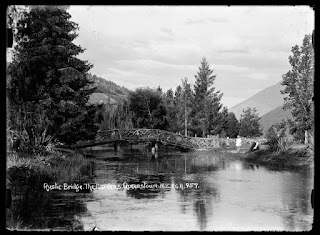 The recent cold blast has me dreaming of a winter holiday, and what better place than picturesque Queenstown. 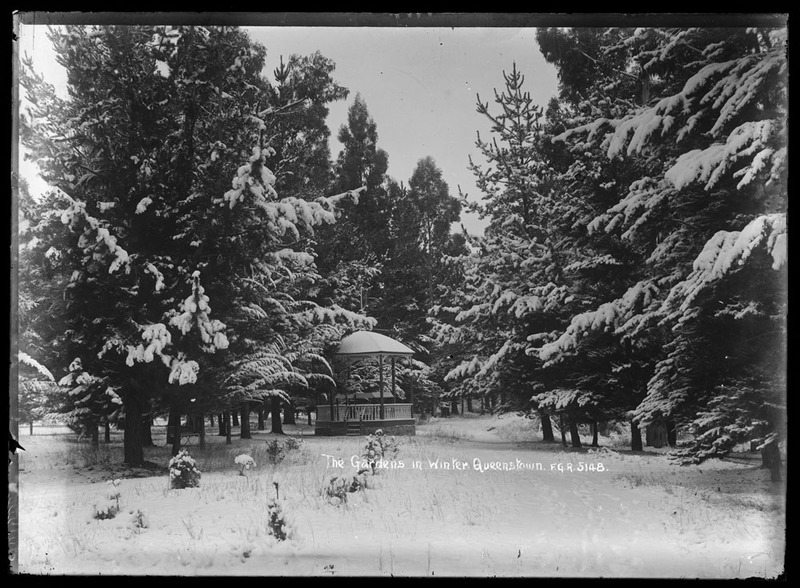 Ref: F.G. Radcliffe, The Gardens in winter, 1915?, Sir George Grey Special Collections, Auckland Libraries, 35-R2014. 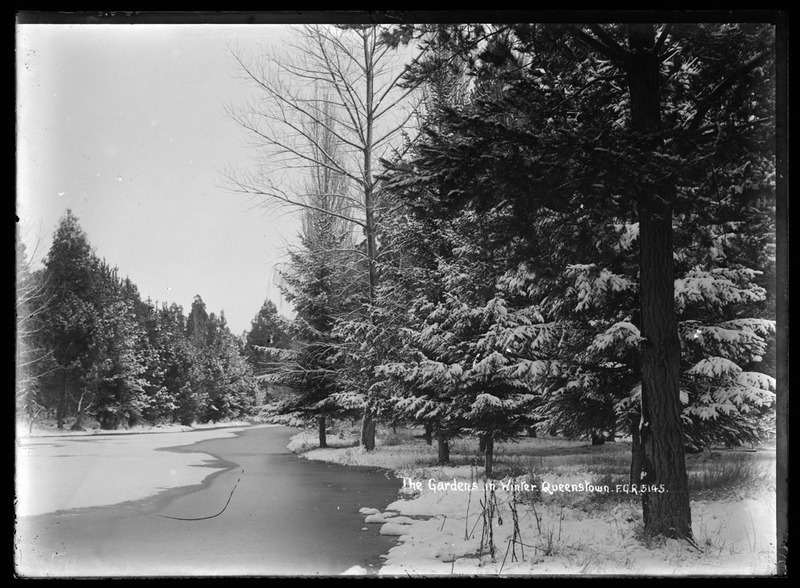 Ref: F.G. Radcliffe, The Gardens in winter, 1909?, Sir George Grey Special Collections, Auckland Libraries, 35-R2066. 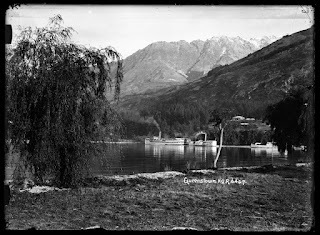 The photographs in this post were all taken by Frederick George Radcliffe who was something of a pioneer of New Zealand scenic photography. From around 1909-1920 Radcliffe travelled the length and breadth of the country and produced approximately eight thousand photographs. 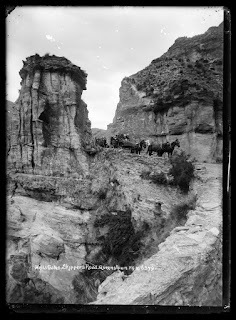 The extent of his travels is evidenced by the huge variety of places shown in Zoe’s post from last year. 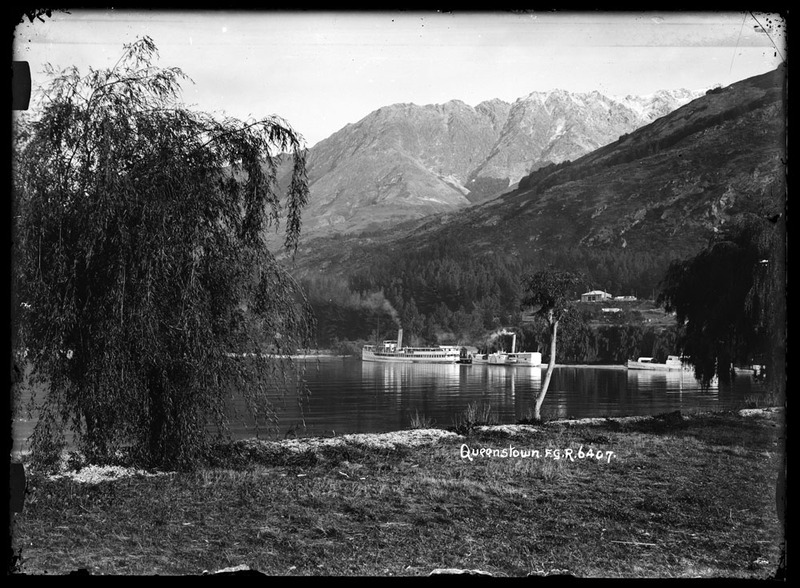 Ref: F.G. Radcliffe, Lake Wakatipu, Sir George Grey Special Collections, Auckland Libraries, 35-R2088. 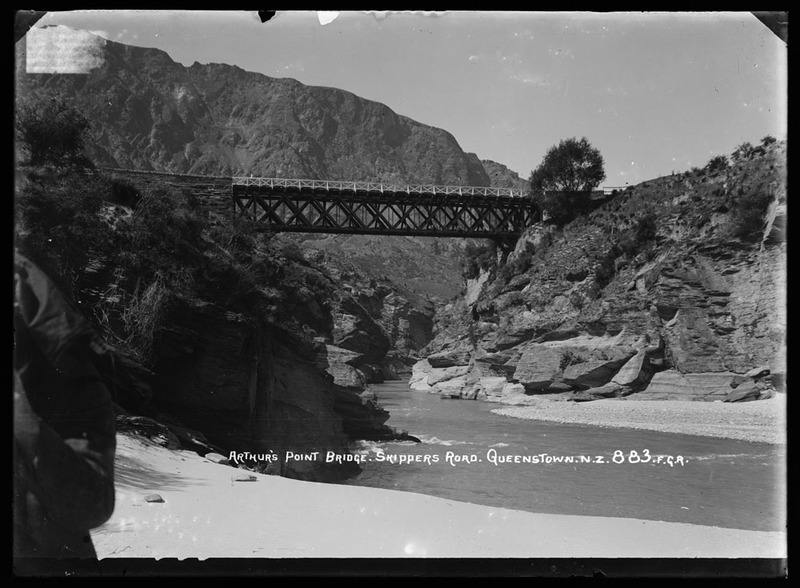 Ref: F.G. Radcliffe, Arthur's Point Bridge, Skippers Road, 1909, Sir George Grey Special Collections, Auckland Libraries, 35-R2080. 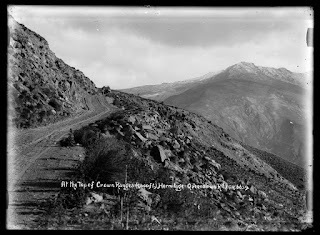 Ref: F.G. Radcliffe, At the top of Crown Ranges, 1900s/1910s, Sir George Grey Special Collections, Auckland Libraries, 35-R2051. 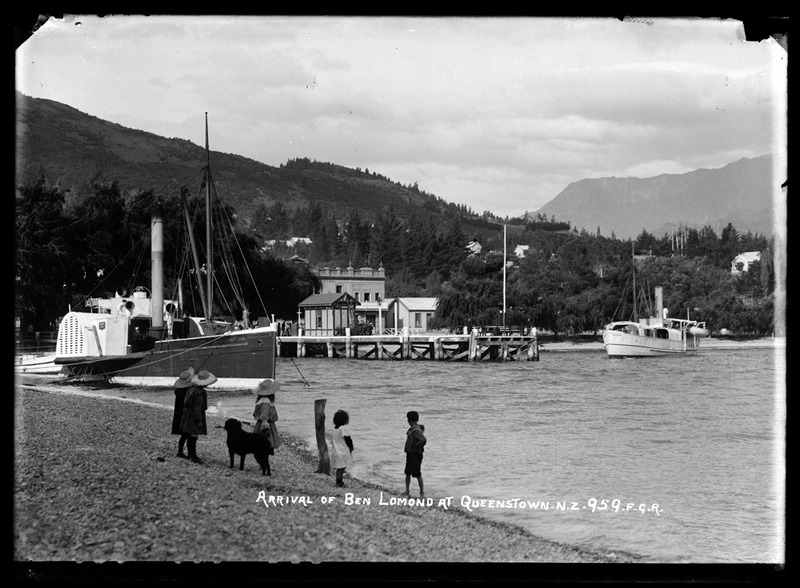 Auckland Libraries hold around two and half thousand of his negatives of New Zealand scenes. 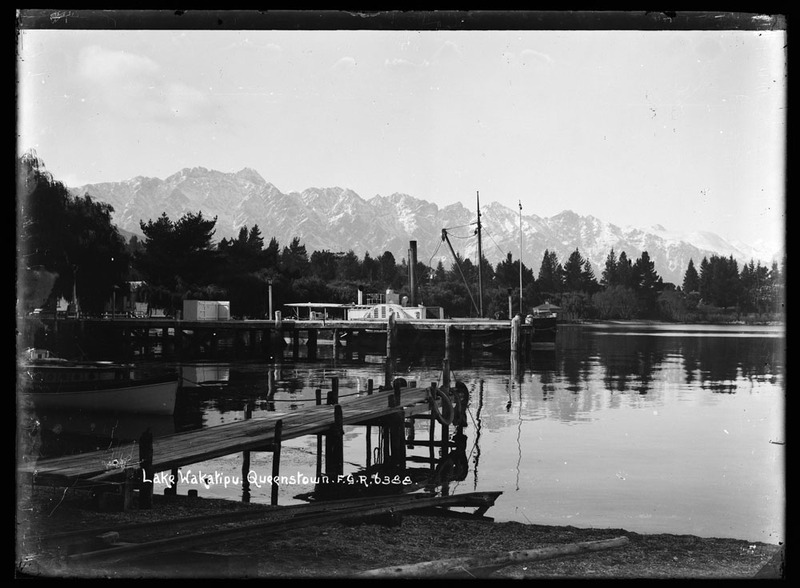 You can purchase copies of prints or digital files of the images from our website or by contacting the photograph collection librarians. 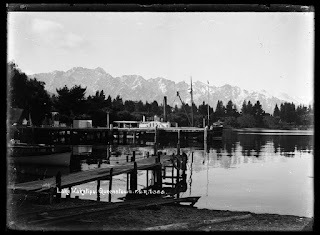 Ref: F.G. Radcliffe, Hells Gate, Skippers Road, 1909?, Sir George Grey Special Collections, Auckland Libraries, 35-R1394. 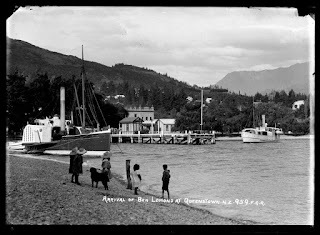 Ref: F.G. Radcliffe, Queenstown, 1900s/1910s, Sir George Grey Special Collections, Auckland Libraries, 35--R2027. Ref: F.G. Radcliffe, Rustic bridge, The Gardens, 1909?, Sir George Grey Special Collections, Auckland Libraries, 35-R2063. 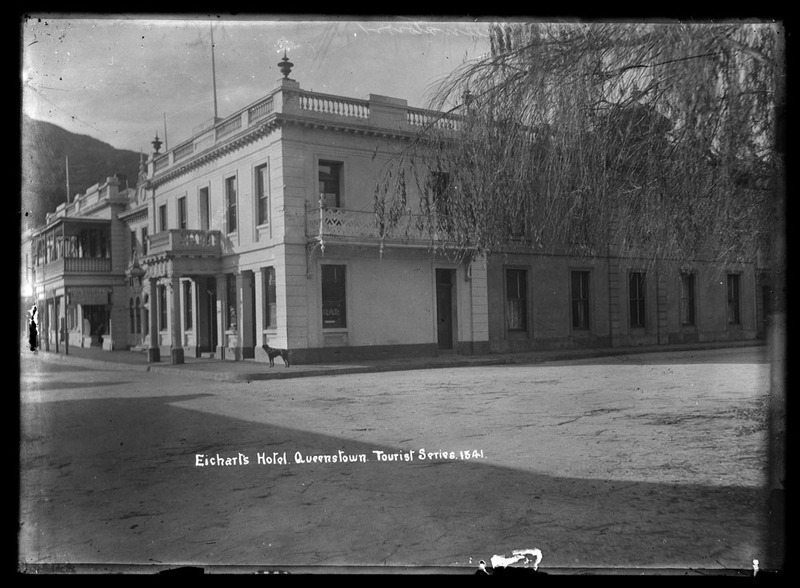 Ref: F.G. Radcliffe, Eichart's Hotel, Sir George Grey Special Collections, Auckland Libraries, 35-R2019. Ref: F.G. Radcliffe, Arrival of the Ben Lomond, 1909, Sir George Grey Special Collections, Auckland Libraries, 35-R2083. Love the snow-capped trees and the precarious Skippers Road shot!